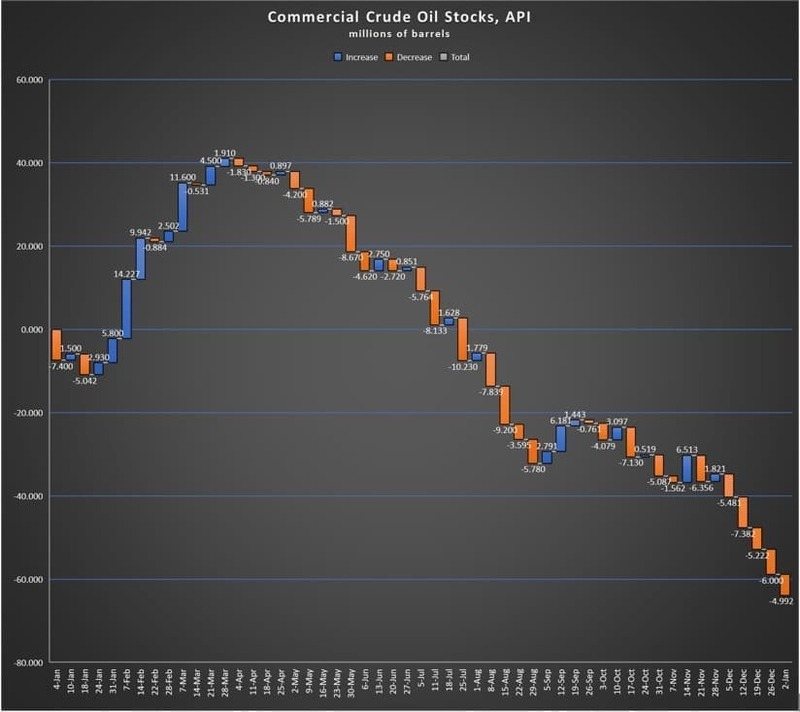 The American Petroleum Institute (API) reported a draw of 4.992 million barrels of United States crude oil inventories for the week ending December 29, marking five large draws in as many weeks. This marks the final inventory count for 2017 from the API. This week brings the total crude oil drawdown for 2017 to over 63 million barrels according to the API.